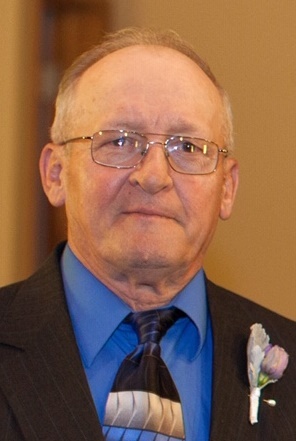 Obituary for Eber E. Murray | Harold M. Zimmerman And Son Funeral Home Inc.
Eber E. Murray, age 75, of Greencastle, PA passed away suddenly on Tuesday, March 26, 2019, at his home. Born February 13, 1944, in Antrim Township, PA, he was the son of the late John E. and Dorothy L. Pisle Murray. Mr. Murray attended Greencastle-Antrim High School. He went on to work as a truck driver for many years and then as a diesel mechanic for Truck Stops of America, retiring in 2010 after 22 years of service. Mr. Murray was a life member of the Rescue Hose Co. No. #1, and a member of the Waynesboro Fish and Game, Hickory Creek Hunt Club, National Wild Turkey Federation, Rocky Mountain Elk Foundation, and a staunch member of the NRA. Early in life Mr. Murray enjoyed assisting the Franklin County Sherriff’s office and the Greencastle Police Department. He enjoyed hunting, fishing, gardening, working on diesel engines, cooking, and tinkering. A “Jack of all Trades”, he could do anything with his hands, he often said, “Why would I call someone, when I can fix it myself.” Mr. Murray also enjoyed NASCAR, where he was a Dale Earnhardt fan, PSU Football, bowling, where he participated in leagues until the age of 70, and watching the Dallas Cowboys; however his most cherished time was spent with family, especially his children, grandchildren, and great-grandchildren. Surviving is his wife of 55 years, Nancy L. Garling Murray, whom he married on April 13, 1963; six children, Terry L. Murray (wife Vicky) of Chambersburg, PA, Gary L. Murray (wife Daphne) of Greencastle, PA, Brenda K. Creek (husband Dave) of Berkeley Springs, WV, Barry A. Murray (wife Amy) of Marion, PA, Melissa A. Murray of Greencastle, PA, and Steven R. Murray (fiancé Karyn Zearfoss) of Williamsport, MD; 21 grandchildren; 17 great-grandchildren; a nephew who was like a son, Scott Garling (wife Annette) of Greencastle, PA; and three siblings, Richard Murray (wife Linda) of Greencastle, PA, Dorothy Eshleman (husband Carl) of Greencastle, PA, and Cynthia Oberholzer (husband Raymond) of Hagerstown, MD. Funeral services will be held on Monday, April 1, 2019, at 11 AM at Otterbein United Brethren Church, 146 Leitersburg St., Greencastle, PA 17225, where Pastor David Rawley will officiate. The family will receive friends on Sunday, March 31, 2019 from 6 – 9 PM in the Harold M. Zimmerman and Son Funeral Home, Inc., 45 South Carlisle Street, Greencastle, PA 17225 and one hour prior to the service at the above church and address. Interment will follow the service in Parklawns Memorial Gardens. In lieu of flowers, memorial contributions may be made in his name to the Rescue Hose Co. No. #1, 842 S. Washington St., Greencastle, PA 17225. Online condolences may be expressed at www.zimmermanfh.com.